Last night we spoke to a very jetlagged Marcus Nilsson, founder of and executive producer at the studio now in sole control of Need For Speed, Ghost Games. Here's what he could tell us about the latest in the long-running racing franchise. Q: Give us the elevator pitch for the game. Marcus Nilsson: As you know we didn’t ship a game last year, and we used that time to really figure out what we wanted the brand to stand for going forward. When we got ownership of the franchise, we figured we wanted to make something spectacular. Rivals was the first step. 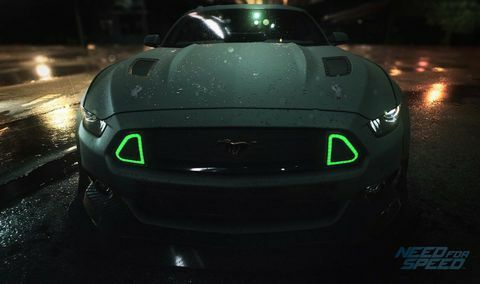 When we talk about a reboot, we talk about the passionate people that we brought into Ghost Games, but also we wanna talk to the fans – what do they wanna see from Need For Speed? What are the core pillars? What should we build the experience on? And that’s something we’ve been working very intensely on for the last 12 months. When we talk about a reboot, it’s not going to come as a surprise to anyone we are talking about deep customisation, the love of cars, and being authentic in that love rather than just going with ‘bling bling’ cars or the most expensive ones. We want to understand the culture in the world of cars. We have a pretty unique insight into that with our website, Speed Hunters. It has Speed Hunters all across the globe – we call it our fingers on the pulse. We understand what’s hot, we have the context, and we know the people, hence we can build an experience that’s genuinely authentic. 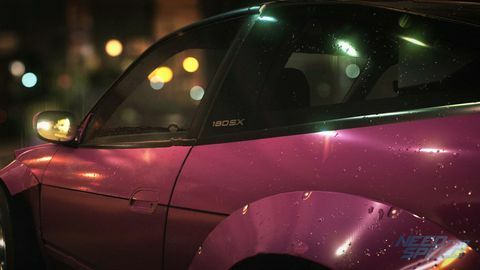 The second thing that’s been missing from Need For Speed for the last couple of years is a narrative – something that pulls people through the experience and makes sense. I’m not talking about drifting to save the world, I’m talking about something that’s applicable to the angle of going deep into car culture. Those are two big findings we had when we started talking to fans and listening to our own soul-searching. Q: Can you clarify your use of ‘reboot’? Are you talking about a reboot of the first game, or a reset for the series? Marcus Nilsson: I’ve read all those definitions and they actually all go on top of each other. This game is called Need For Speed, so if it’s a reboot or a reset – I’ll let other people decide who have English as a first language. 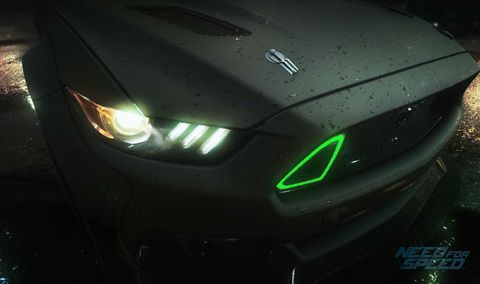 We’re basically setting the stage for what we want Need For Speed to be going into the future. We wanna build on certain core pillars. Q: Can you tell us more about the plot? Marcus Nilsson: All I can say is it is a story we think is a really good fit into both the world and that car culture authenticity we’re going after. Q: Will the AllDrive system from Rivals feature? Marcus Nilsson: Very much so. We believe that’s very much a next-gen feature, a single player experience in a multiplayer world, where you can engage in both experiences simultaneously. I’ll be the first one to admit that we could have improved on the implementation of in Rivals. It was the first time we did it, no-one had done anything like it before. Now other games like Destiny and The Crew have similar setups. We learned from the mistakes. One of those was: it was hard to find people and start events together. That’s something we’ve developed a bespoke system for, so it’s going to be instantaneous to do something with your friends. Q: Will there be dedicated servers? Host migration was a problem in Rivals –the interruption was distracting, and sometimes when you migrated, the game was in a different state than before. Marcus Nilsson: [My PR handler] might kill me, but yes we are going dedicated servers for this game. It’s one of those things that slipped the whole PR briefing. I can confirm we are going with dedicated servers for this game. Actually not only for that reason, but part of the reason is the whole host migration element in Rivals. Q: Will you be able to play as the police? And is there pursuit tech? Marcus Nilsson: The police are a core tenant in Need For Speed, and as we define the brand now, the police will always be part of Need For Speed in its own way. However, in this game you’ll only be playing as a racer – the AI will be on the cop side. It’s also balanced in a pretty significantly different way [than Rivals] which I’m not going to go into. But it’s going to be more down to the gamer whether he wants to have heavy police or just drive around with his friends and not be bothered by cops in this open world. Q: The press release mentions a nocturnal world. Does the game only take place at night? 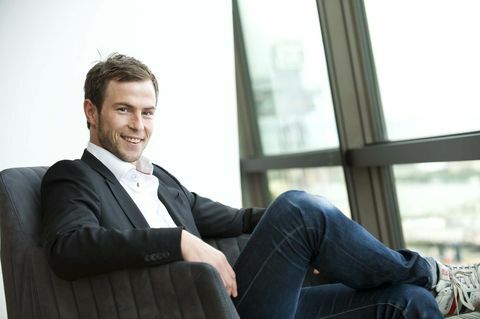 Marcus Nilsson: The game takes place between dusk and dawn. We were obviously inspired looking back into the history of Need For Speed, and some of the more successful games have been placed at night. It’s exciting, and gives us certain abilities when it comes to graphical quality when we go to night. But it’s not completely night – this is dusk to dawn, so there’s a variety of events anyway. If you look at car culture, dusk to dawn is when that culture comes to life. Q: It runs on Frostbite 3 I presume? Marcus Nilsson: Frostbite, obviously. It’s for next-gen and PC only so we are not limited by old-gen.
Q: One thing a lot of people complained about was that the PC version of Rivals was locked at 30 frames-per-second. Will that be the case here? Marcus Nilsson: There are reasons why we didn’t go above 30 for Rivals, and it’s basically very workforce-heavy to do so. For this game we are in the process of decided that right now, so I couldn’t actually tell you. Q: Will there be Kinect or PlayStation Camera integration? Marcus Nilsson: This is more of a Ghost value of how we do development. We will use the peripherals and systems that we think can deliver better game experience to the people that buy our games. I’m not necessarily sure that those features helped a lot of people [in Rivals] to be perfectly honest. We might or we might not, I don’t have exact insight. Q: What can you tell us about vehicle personalisation? Marcus Nilsson: I can tell you this much: it’s very deep. It’s visual, it’s performance, it’s even customisation of handling and the sound of the car. Q: Is there a dynamic weather system? Q: What’s the car count? Marcus Nilsson: I know exactly how many cars but I’m not going to tell you [laughs]. Q: What can you tell us about the soundtrack? Marcus Nilsson: We’re not releasing that yet, but I can tell you we’re taking music very seriously – probably more than we have done in recent years. We have really good staff across EA working on this, and I think you’ll get a feel for it when we release the announcement trailer. 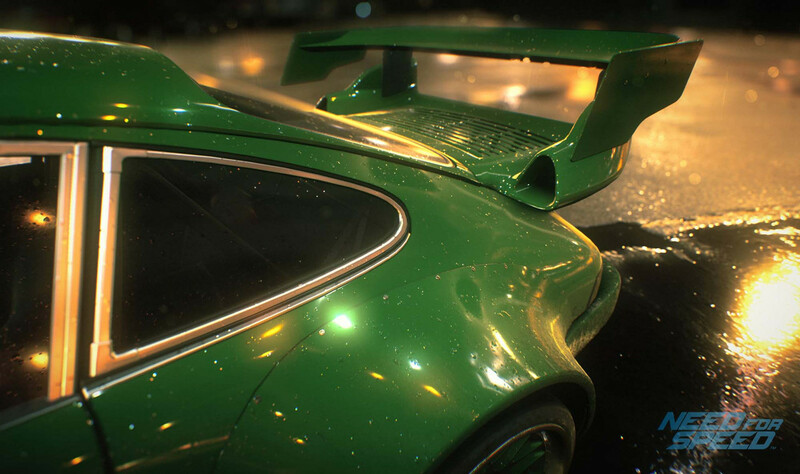 Q: Will Need For Speed return to an annual release schedule from now on? Marcus Nilsson: What we’ve also been doing in the last 12 months is not only define what we want Need For Speed to be, but look at the strategy for the product. We need to understand how this game is going to be received by the fans before we can both decide and go public. It’s really exciting. I’m literally more excited about now that I have probably been for the last 10 years, even though I’ve been working on Battlefield and all those different games. 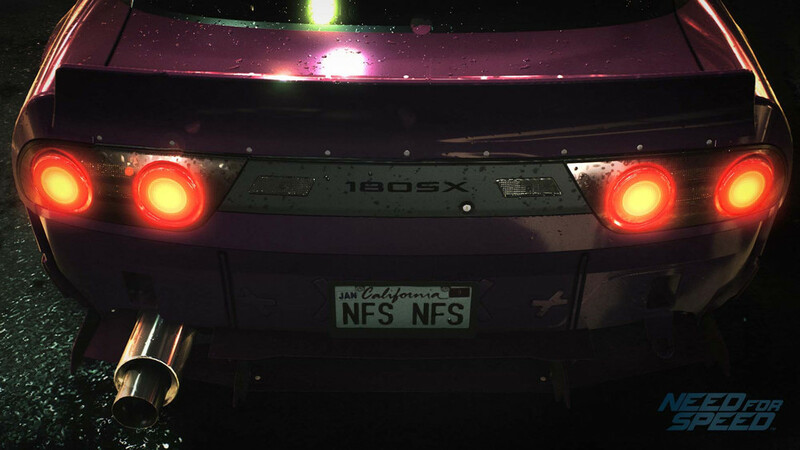 What we’re doing now with Need For Speed is fundamentally building it up from the core pillars that the brand is born from. I think you’re going to see a very energetic and positive crowd around Need For Speed when they see what we’ve done so far. I’m in a happy place when it comes to where we are with the brand.